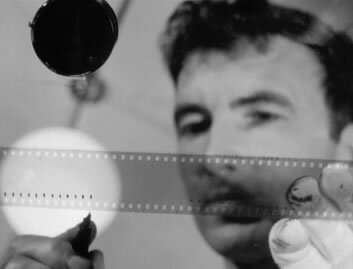 Still from Norman McLaren’s Pen Point Percussion (1951). © National Film Board of Canada. All rights reserved. Used with the permission of the NFB. Videomusic is a field of practice that could be seen as a subset of visual music, a term which can be considered today to be familiar enough to speak for itself. This broader area of artistic activity includes digital work, cinema, painting and visual “instruments”, and dates back at least to the 18th century. 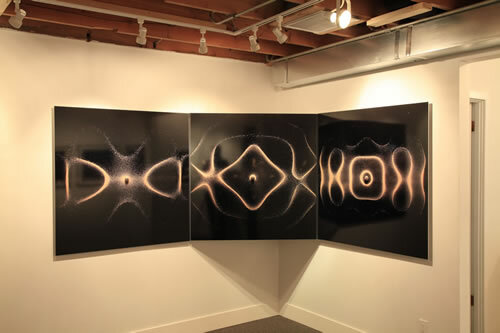 Noting the features of visual music in absolute and abstract film, art traditions and colour-organ inventions, the author emphasizes the music component, in either the composition or the performance of the visual image, as of critical relevance to its understanding and evaluation. 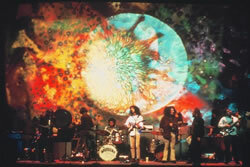 Various practices associated with visual music in the twentieth century are outlined by the author and an historical overview of the audiovisual language of musical discourse is proposed via a selection of works coming from animated cinema, the first synthetic images and video art, among others. The collaboration between the electroacoustic music composer and the visual artist is the product of the perceptual rapprochement between different artistic disciplines seeking to explore the interaction of sound and image, manifested in a work that can be called “videomusic”. By highlighting some essential features of the visual composition in contemporary visual music practice and works, visual music is positioned as a valuable and exciting, new kind of art form within the areas of sonic arts in general and of music in particular. A friendly exchange between two key proponents of audiovisual practice around the developments of various strands of audiovisual art — video art, audiovisual, videomusic, etc. — encountered during the past 25 years, with reference to the evolution of technologies and their own practices in this ever-changing field. Through an examination of language, function, radio and space, changes in the relationship between sound and image in electroacoustic music and audiovisual composition are discussed, in view of emerging inter-modal art practices. Reflecting on different aspects and mindsets of sound+video creation, the author jump cuts across various questions provoked by the particularities of his audiovisual practice: using digital technologies in an old-fashioned way is for him neither trendy nor nostalgic, rather it positions him between scenes and schools. 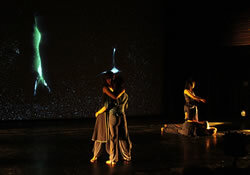 The author discusses distinctions between two parallel yet somehow opposing creative approaches encountered in audiovisual practices, including her own: those in which both elements are synchronised in a unity and those in which elements are not synchronised, but nevertheless form a whole and individual entity. A discussion of granulation techniques, conceptually derived from electroacoustic practices, but adapted and extended into the audiovisual domain. The technical and æsthetic issues considered in this article emerged from the author’s compositional engagement with mimetic discourse in Visual Music. The nature of acousmatic music is considered through its relationship to videomusic, with particular reference to the author’s LEXICON, via a discussion of “the four ‘articles of faith’ of acousmatic music.” What can music with video tell us about music that is invisible? 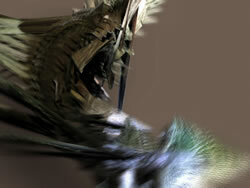 This article discusses the use of direct animation techniques in a low-budget, digital context to compose a piece of psychedelic visual music with electroacoustic sound. 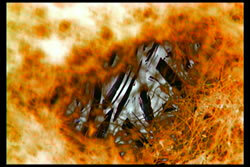 Techniques for the application of ink, paint and other materials to the film stock and digitizing the results are explained. 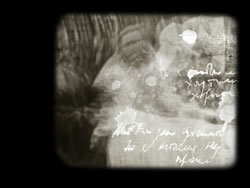 In recent years Gary James Joynes (aka Clinker) has expanded his practice using analogue synthesizers and custom-made machines to create visual sound as photograph / drawing / sculpture hybrids, immersive installation environments and new live cinema works via the exploration of an 18th-century science experiment. 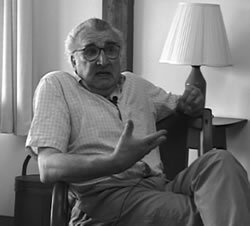 From the very early years of the Columbia-Princeton Center for Electronic Music, as Associate Director of the Center and later Director, Mario Davidovsky was an important and influential figure in the support and definition of the 1960s and 1970s generations of electronic music composers. 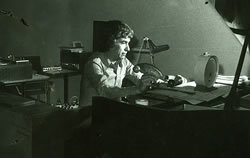 Alfredo Del Mónaco and Sergio Cervetti are two of the many Latin American composers who worked at the Columbia-Princeton Center for Electronic Music in the early 1970s, and the experience of this incredible resource centre had a lasting effect on each of their creative activities. During the course of his studies and work in the Instituto Torcuato di Tella and the Columbia-Princeton Center for Electronic Music, alcides lanza was part of the extensive network of composers linking Latin American and US-based institutions in the 1960s and 1970s. 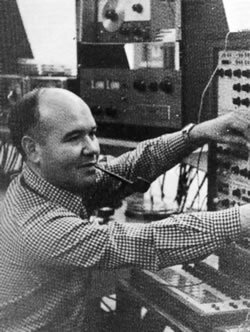 Arriving at the Columbia-Princeton Center for Electronic Music in the late 1960s was “like the discovery of a new world” for Edgar Valcárcel; during successive sojourns there he composed the first two of his works for instrument and tape.